Over 900 people braved the rainy weather to attend the We CAN Sports and Arts festival held at Stanmore in Gwanda Ward 4 over the weekend. 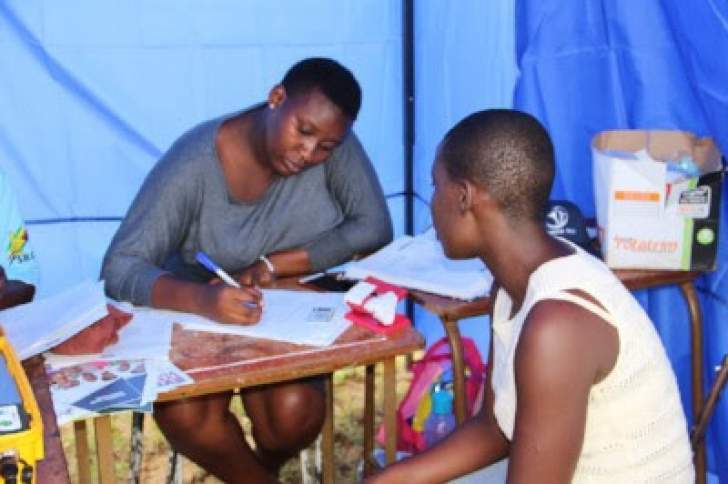 The event was organised by Habakkuk Trust to encourage young people to be active in decision making and in particular to register to vote as the Biometric Voter Registration mop up exercise nears its end. 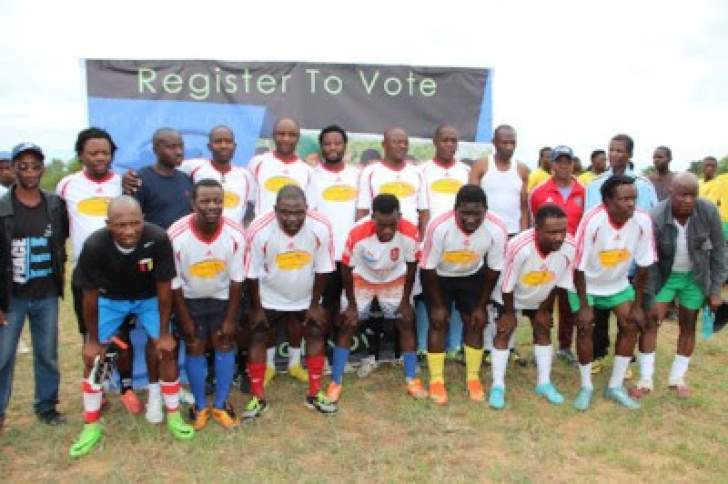 The event which ran under the theme "We Citizens Act Now” saw 64 people registering to vote . Sports and Arts were used as tools to mobilise, build a sense of ownership and capacity amongst young people to act and make a difference in their community. Pro-youth mobilisation strategies which included sports and arts have been universally adopted as effective mobilisation strategies that have the potential to enable more young people to be active citizens. Participation of youth in development or decision making processes has been relatively low despite the demographic advantage young people have in communities. Development committees and decision making structures in most areas are dominated by the elderly while the youths are left at the mercy of political parties for use as agents of intimidation and violence during the election period. 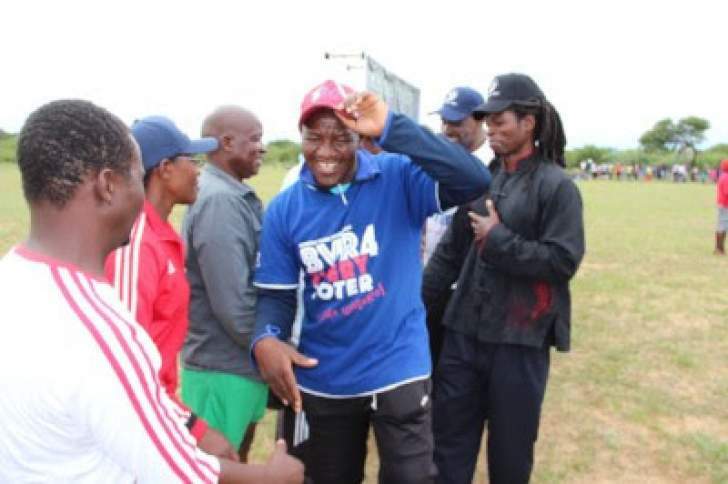 Victory Siyanqoba led by the award winning artist Desire Moyo and renowned artist from Plumtree, Clement Magwaza thrilled the community with their impressive performances and the grand finale of the day was; Gwanda Ward 6 soccer team vs the former Highlanders football stars.